Nadine Kaslow, PhD, president-elect of the American Psychological Association and Emory Professor of Psychiatry, leads May 15, 2013, webcast about children and suicide. Nadine Kaslow, PhD, Emory professor of psychiatry and behavioral sciences and president-elect of the American Psychological Association, will lead a webcast on children’s suicide prevention as part of the Child Mind Institute’s Speak Up for Kids Initiative. The interactive webcast will take place on Wednesday, May 15, from 9-10 a.m. The Speak Up for Kids campaign is a month-long online dialogue to promote children’s mental health and eliminate barriers to care. Responding to President Obama’s call for a national conversation about mental health in the wake of the tragedy in Newtown, Speak Up for Kids brings together the nation’s mental health leadership to give parents the information they need to help remove stigma and get kids effective mental health care. Kaslow received her doctorate from the University of Houston and completed her internship and postdoctoral fellowship training at the University of Wisconsin. She is Board Certified in Clinical Psychology, Couple and Family Psychology, and Clinical Child and Adolescent Psychology by the American Board of Professional Psychology. She joined the Emory University School of Medicine faculty in 1990. Kaslow is committed to helping underserved and underprivileged populations and youth and their families. 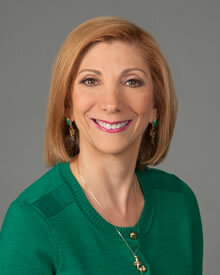 In addition to her role as Emory School of Medicine faculty, Kaslow serves as vice chair for Faculty Development in the Department of Psychiatry and Behavioral Sciences, chief psychologist at Grady Memorial Hospital in Atlanta and director of the Psychology Postdoctoral Fellowship Program in Professional Psychology. She holds joint appointments in the Departments of Emergency Medicine, Pediatrics, and Emory’s Rollins School of Public Health.